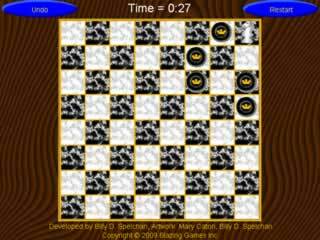 The knights tour is a classic chess puzzle where you try to traverse all the squares in a chess board while only making moves that a knight is allowed to make. Each square can only be visited once. The best solution is one in which the last square is a valid move away from the starting square, though any series of moves that covers the board .